Leading tech firms have announced a slew of new products at the just concluded CES fair in Las Vegas. Linksys was one of the most active firms at this year’s fair and announced four new routers targeted at different audiences: the Linksys WRT32x gaming router, Velop, EA8300 and EA9400. The latest Wifi gaming router from Linksys minimises network latency and lag through Killer Network’s optimisation engine. Linksys WRT32x is a dual-band AC2600 router capable of handling 800 Mbps on its 2.4 GHz network. The 5 GHz frequency network boosts the bandwidth to an impressive 1,733 Mbps. The dual-core processor runs at a clock speed of 1.8 GHz and has access to 512 Mb of RAM memory. In addition, the ROM drive has a storage capacity of 256 Mb. The WRT32x router costs US$299.99, so expect to pay about NZ$490 locally in New Zealand. Linksys Velop utilises a Wifi-based modular mesh system to expand the Wifi reach at home at no performance loss. The most commonly used approach to improve Wifi coverage is to use Wifi extenders. This approach, however, leads to slower network speeds due to sub-optimal communication between the device, extender and router. Velop instead employs its own dedicated network running at 5 GHz frequency. Computers and devices that connect to the network either use the 2.4 GHz network or the remaining bandwidth on the 5 GHz network. A Qualcomm chip with a quad-core Cortex-A7 processor is at the heart of the router and runs at 716 MHz. Linksys Velop goes on sale on the 15th of January and costs $US199 for a single node. Additional nodes cost US$150 each. 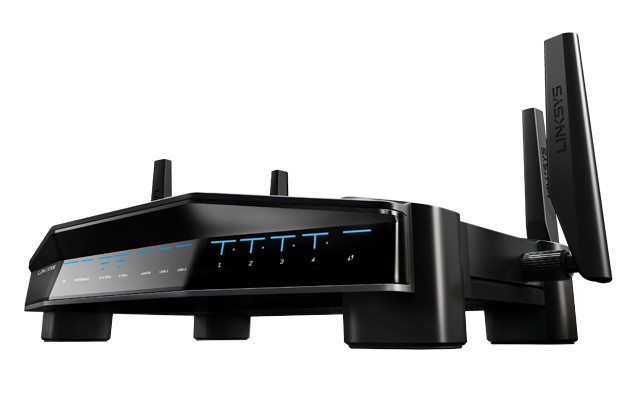 Linksys EA8300 is the most affordable of the three traditional routers and costs the same as Linksys Velop. It’s an AC2200-class router with a quad-Core Qualcomm processor and 256 Mb of RAM. two 5 GHz networks that reach speeds if 867 Mbps. One 2.4 GHz network at 750 Mbps. Two 5 GHz networks at 867 Mbps.